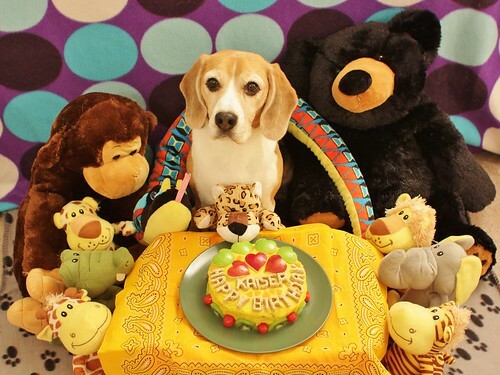 Kaiser the Beagle: 7th Birthday! I turned 7 on Friday! 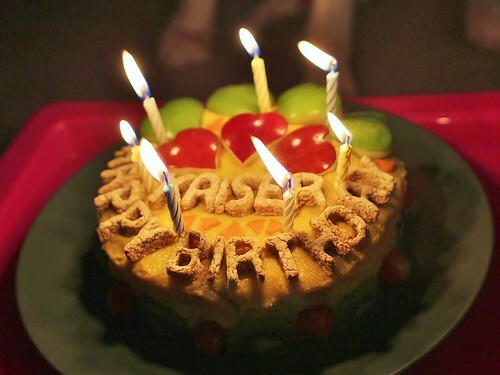 Mommy made a cake for me and I've got lots of new friends! 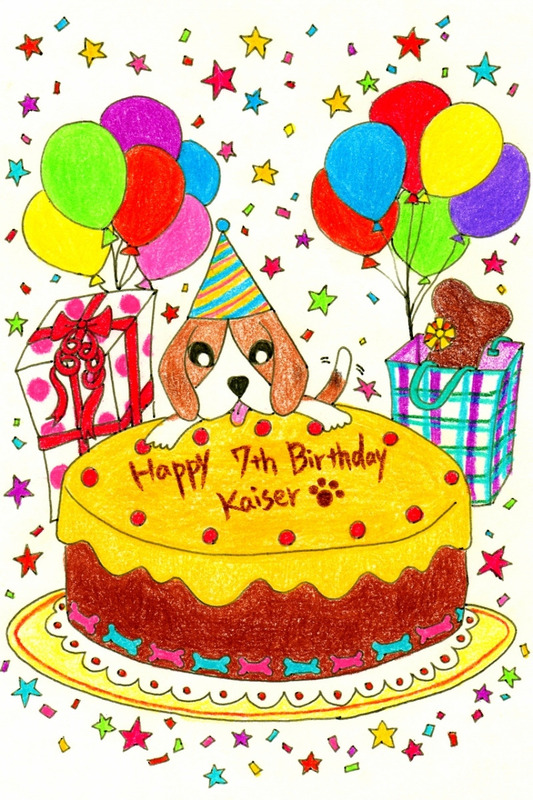 Mommy also drew me a birthday card! I promise I'll stay cute forever! Very meaty and yum yum! OK, I'm full now...let's play!!! Mmmmm...which one do I like??? And the small lion for chewing! 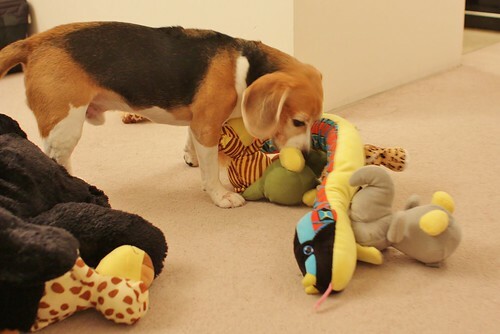 Fun fun fun with lots of toys!!! 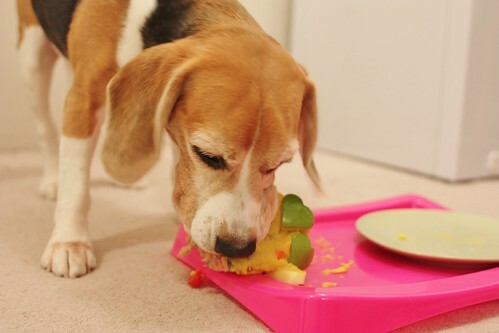 Click HERE for a healthy doggy B-Day cake recipe! I'm thinking to create backdate posts for May-Oct pictures. I'll post Halloween ones soon! 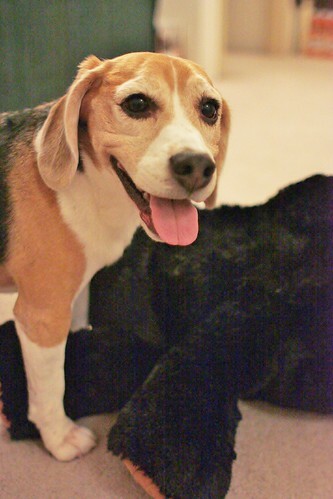 Posted by Kaiser Time: 1:02 p.m.
houndstooth November 18, 2012 at 8:11 p.m.
Happiest of Birthdays, Kaiser! It's good to see you in pictures again! Kaiser November 20, 2012 at 6:32 p.m.
Mommy has been too lazy to post my pics in the summer. She'll have more time during the rainy winter time! owl November 19, 2012 at 1:19 a.m.
Kaiser November 20, 2012 at 6:35 p.m. Thank you Buddy & Buddy's Mommy! Shaye walsh September 27, 2013 at 5:57 a.m.
Email me with a post to bring the blog back! Jessi Lashakmitis November 1, 2016 at 7:16 a.m.
Just saw you blog. Your mom is so so talented and your pictures are so beautiful!!! I hope you are all fine and come back to post again!!!!! 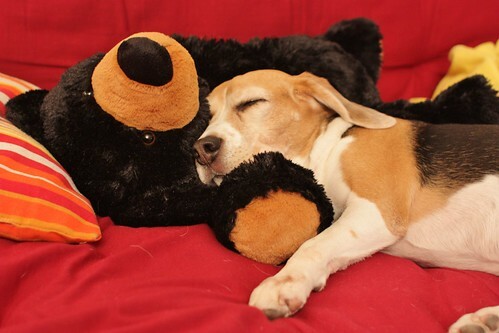 I'm a 7-year-old beagle boy. 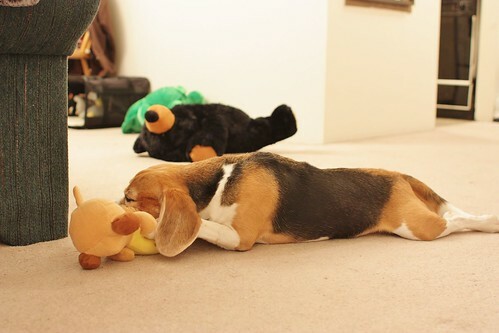 I love eating yummies, running, playing with my friends and toys and just being lazy!